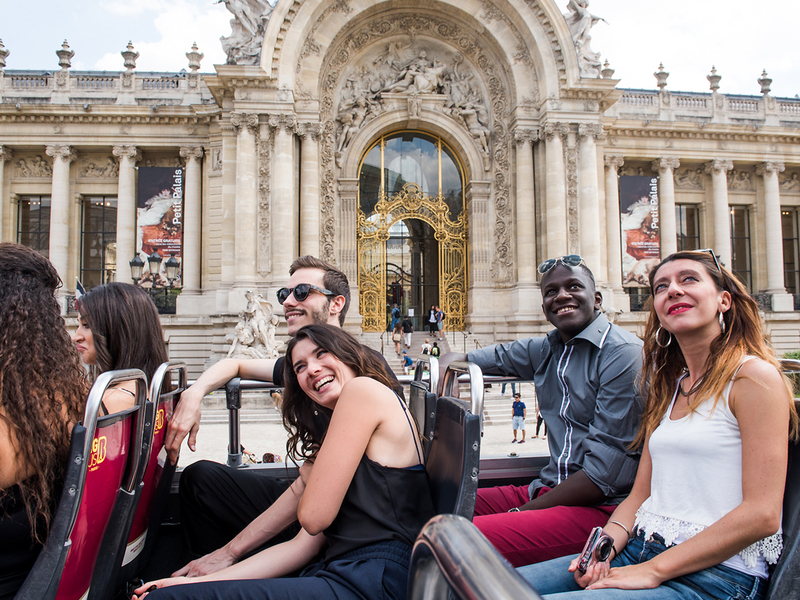 This amazing hop-on, hop-off bus tour of Paris allows you to explore the city's top attractions at your own pace. 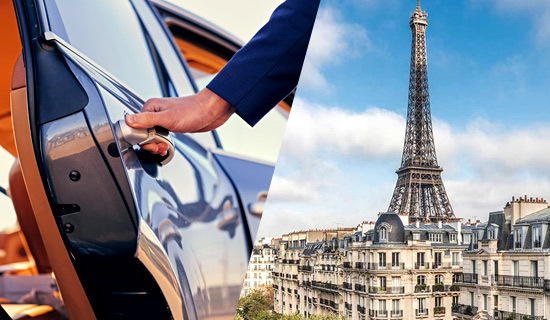 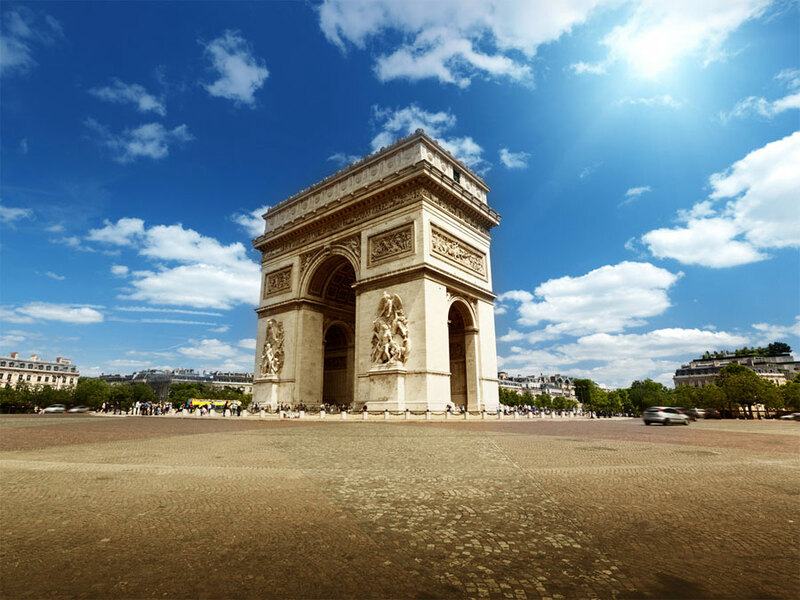 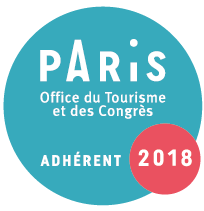 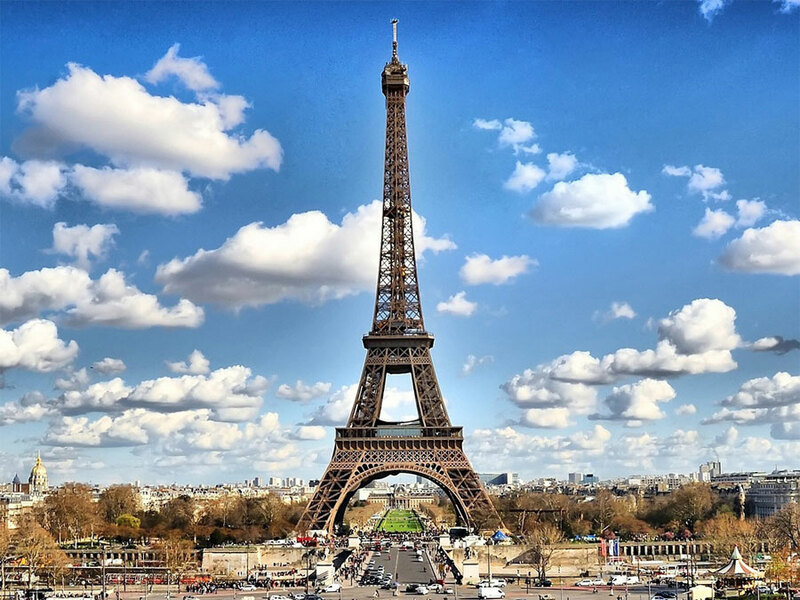 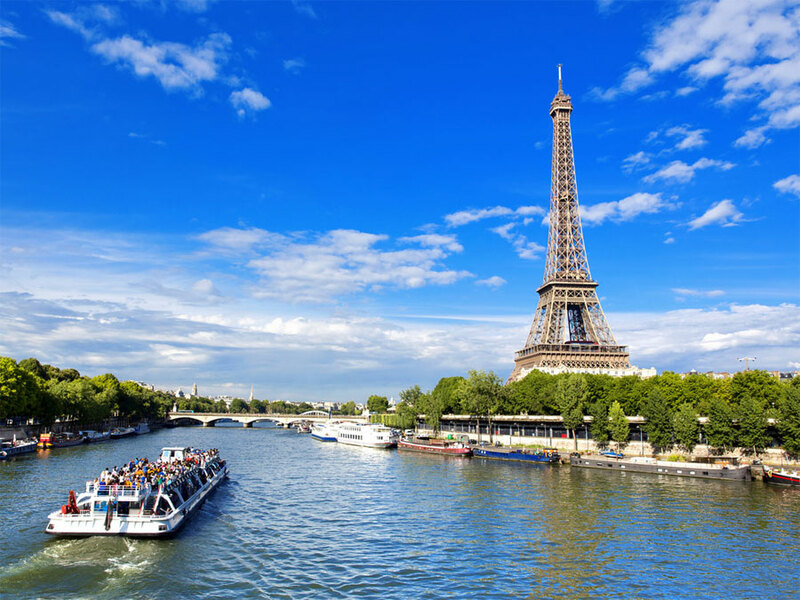 Enjoy this Paris sightseeing tour by day to discover the breathtaking heights of the Eiffel Tower, the historic grounds of Le Louvre, the impressive Arc de Triomphe and much more. 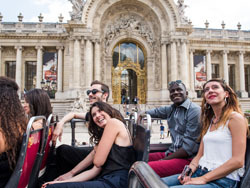 This unique city tour includes all the must-see attractions of central Paris. 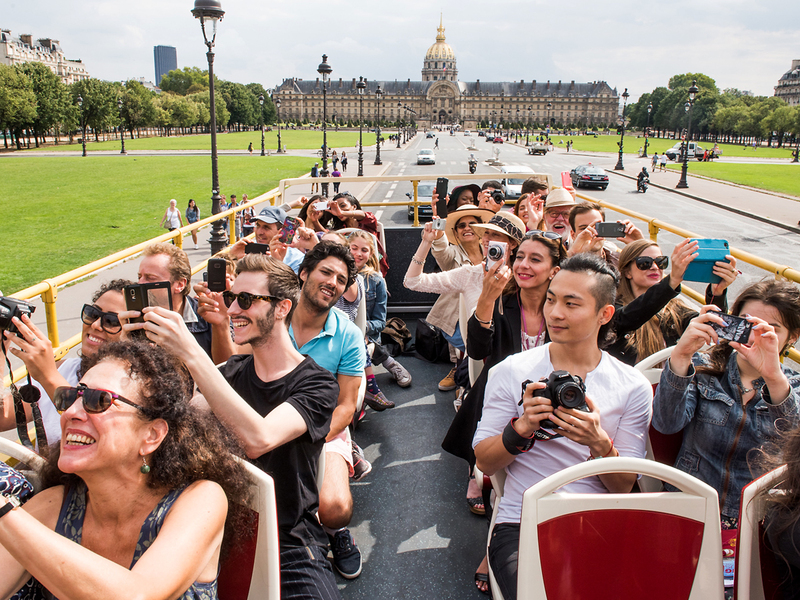 Experience the beautiful avenues, stunning architecture and picturesque views atop an open air bus. 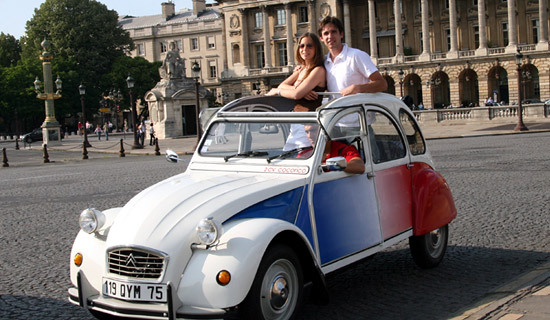 Hop-on or Hop-off at your leisure to create your own customized journey around the city. 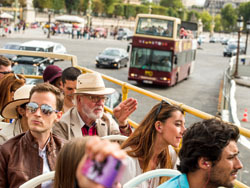 The tour includes an informative and entertaining commentary in 11 diferent languages that guides you through the city. 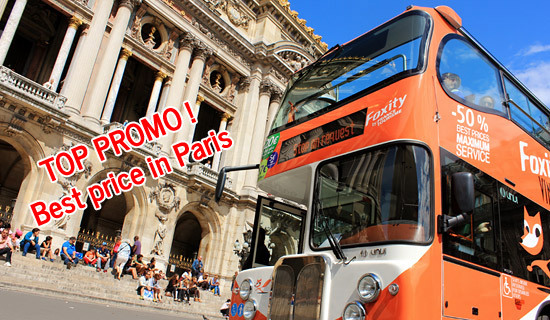 Your Ticket is valid for 2 consecutive Days. 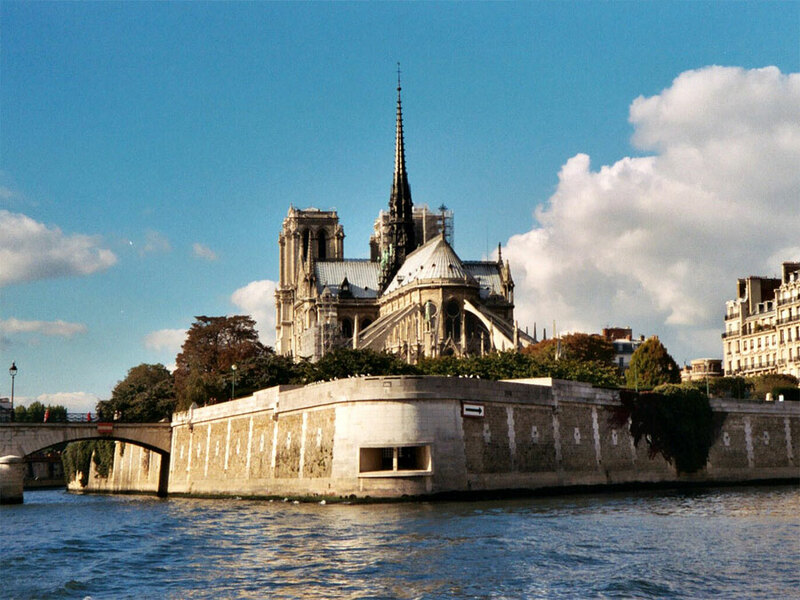 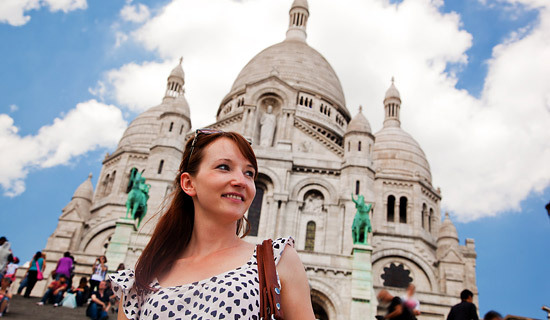 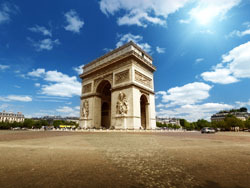 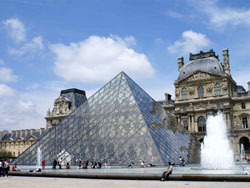 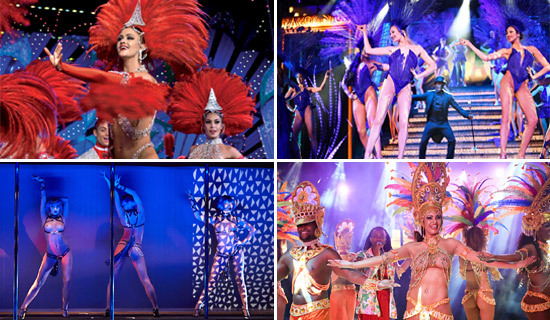 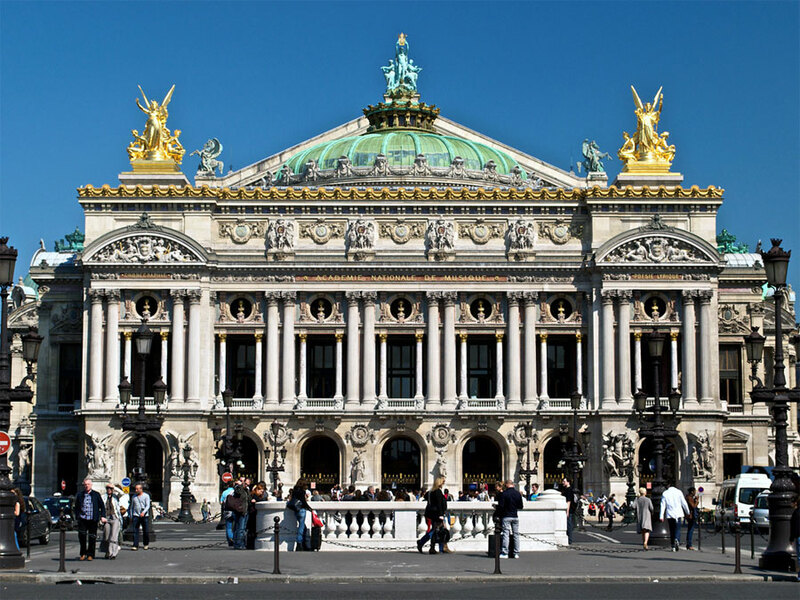 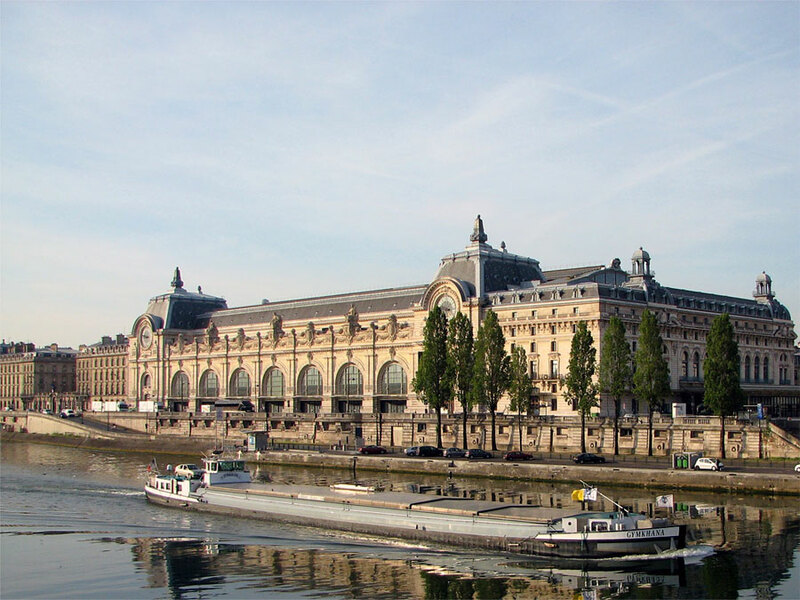 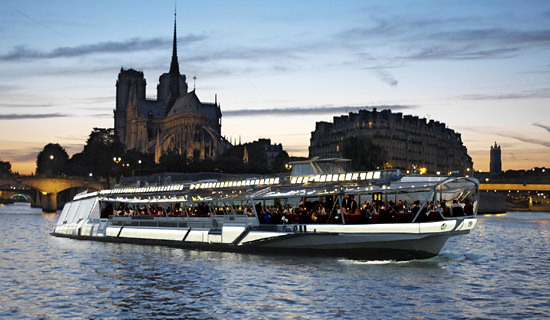 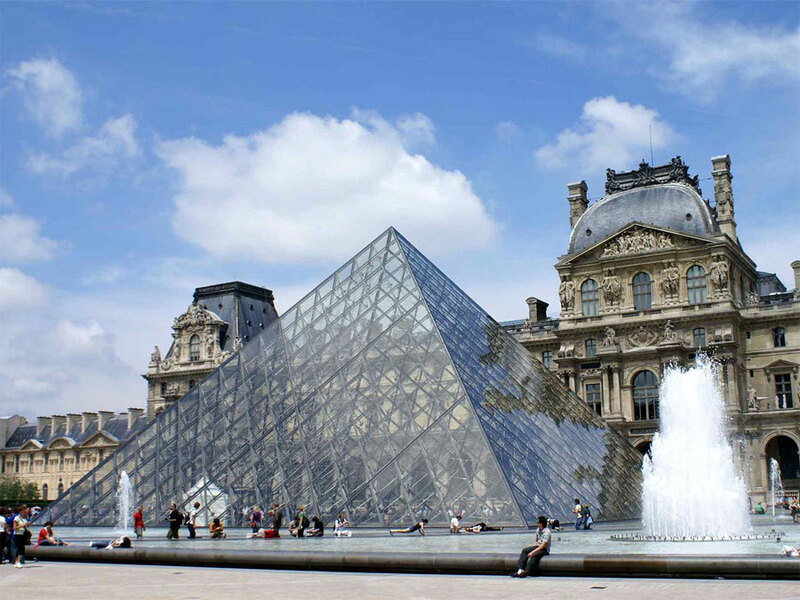 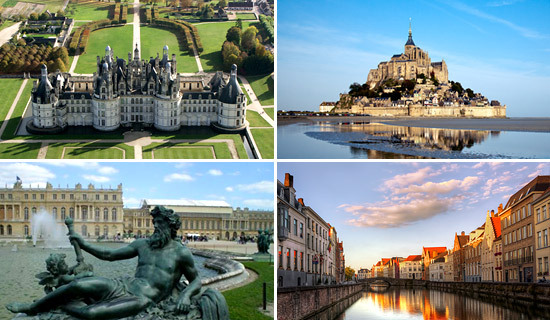 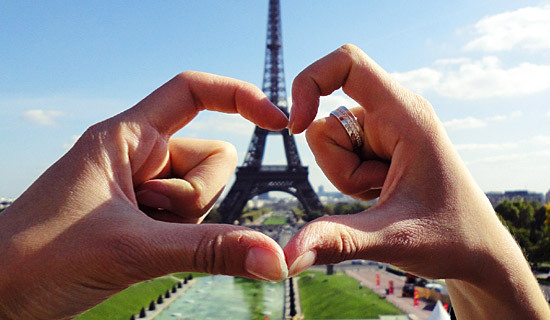 We have 2 routes to show Paris off to its finest and both are included in your ticket price. The red route takes in the must-sees close to the Seine: the Eiffel Tower, the Arc de Triomphe, Notre Dame, Champs Elysées and the Louvre. 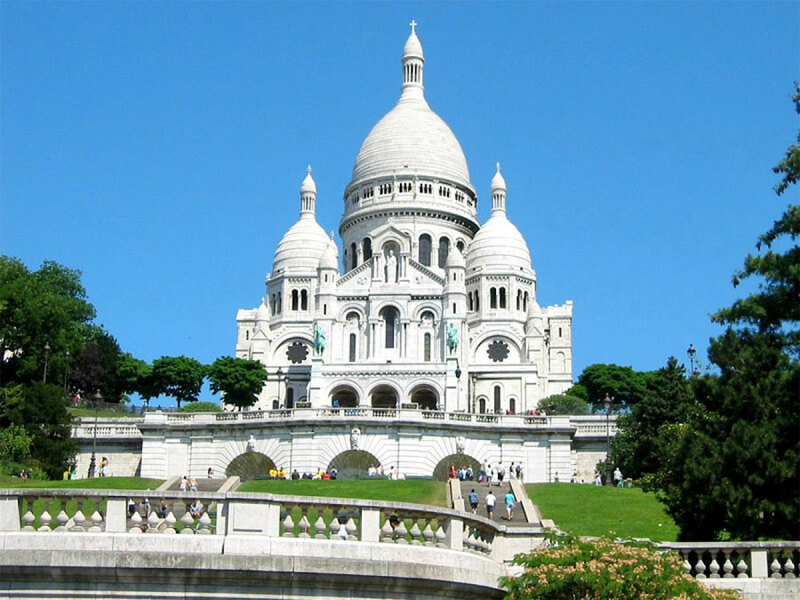 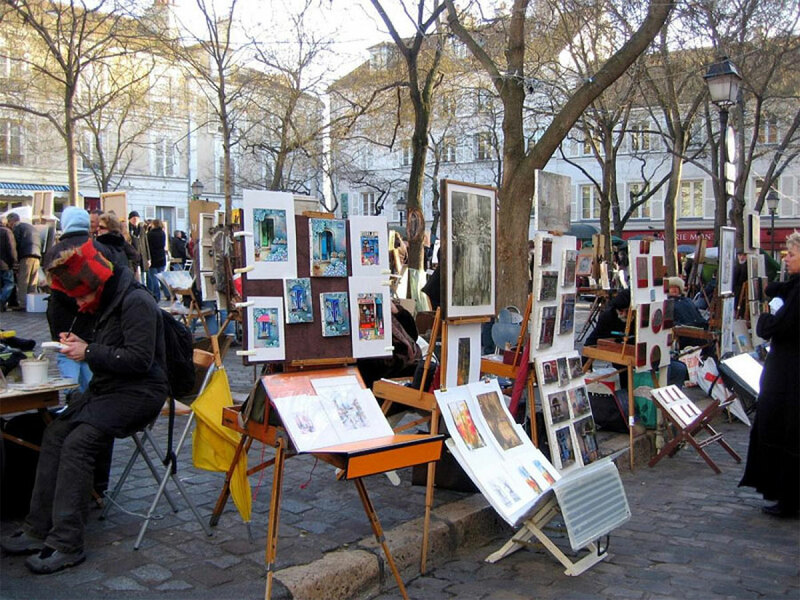 The blue route delivers an introduction to Parisian bohemia around Montmartre. 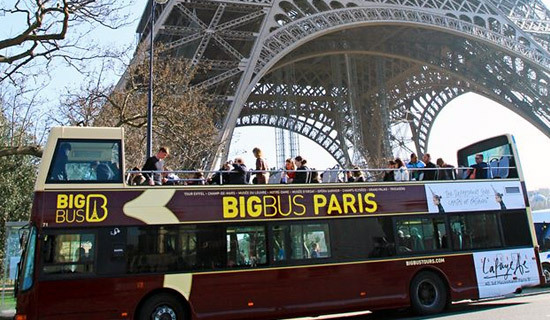 Hop on and hop off as you please throughout the day so you can plan your day exactly as you please. 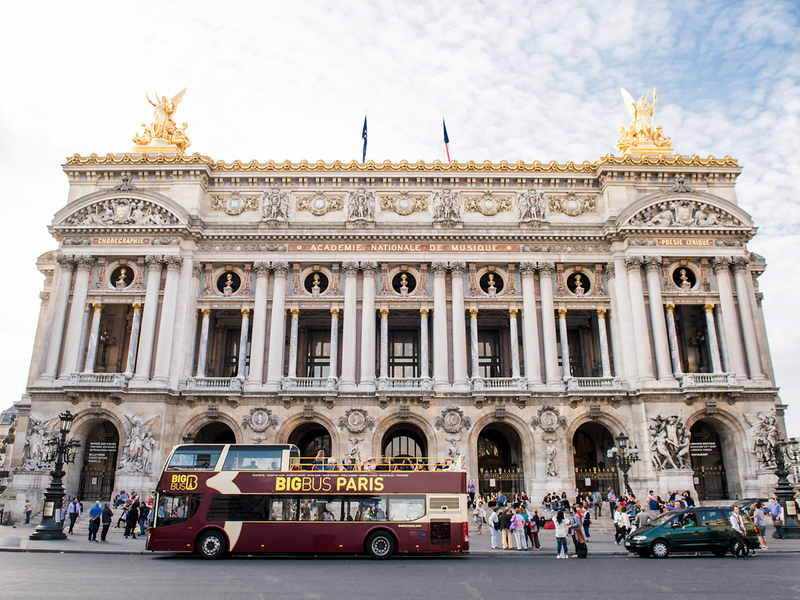 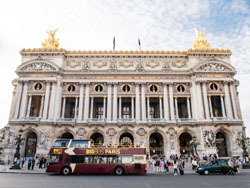 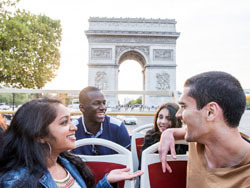 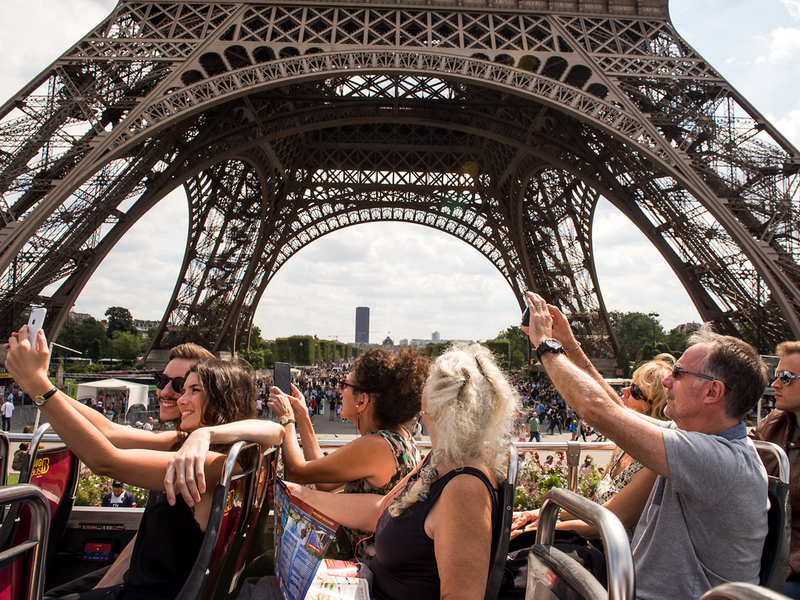 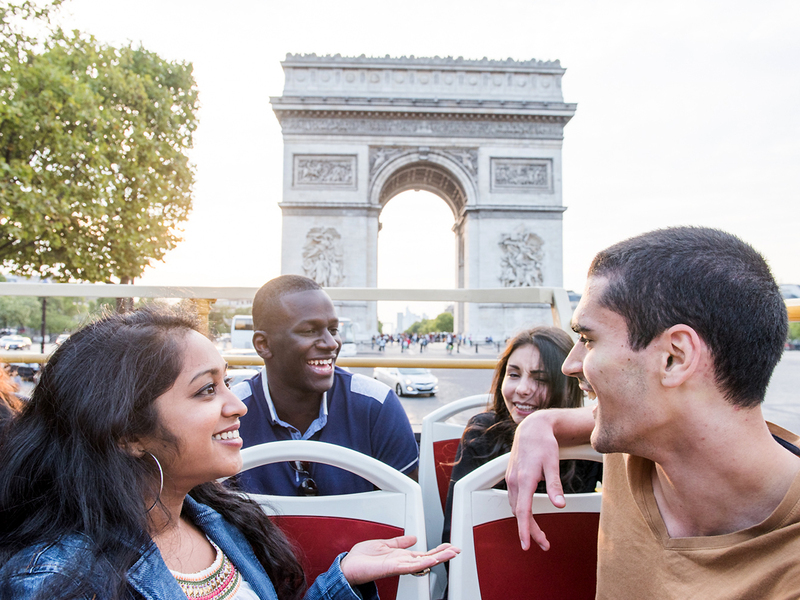 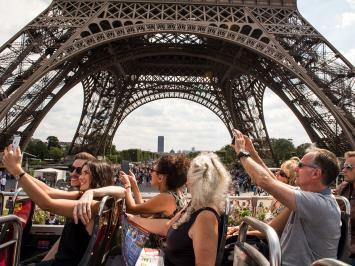 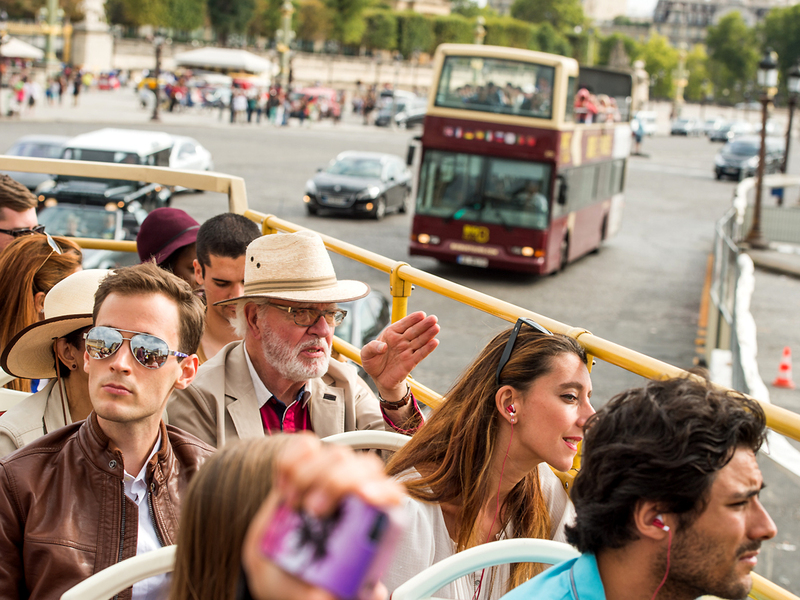 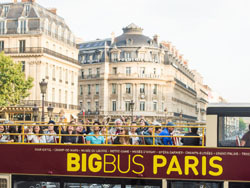 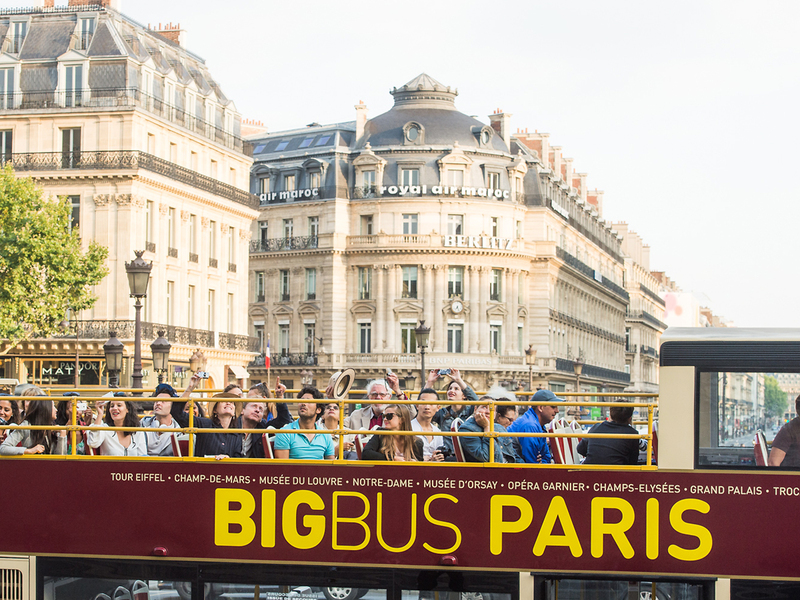 Big Bus Tours Paris really does give you the most flexible sightseeing experience in the city.